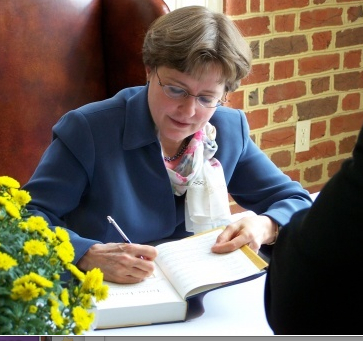 Gifted, resourceful, and unwaveringly focused, Nancy Pearcey embodies the spirit of a generation of Christian thinkers that has more than held its own in a secularist and even “agnostic” age. Pearcey signs a copy of Total Truth, a book that New Yorker magazine cited in August as an influence on presidential candidate Michele Bachmann. The magazine’s viewpoint has touched off a firestorm of controversy. For more on that, see links embedded in the text. Pearcey’s lucid, accessible style and her atypical (for a scholar) readiness to contend in such non-academic realms as journalism, talk radio, the blogosphere, and the popular press have placed her in elite company. Like Ross Douthat of The New York Times and Michael Horton of radio’s White Horse Inn—both eloquent, savvy commentators who have thrived in popular, mainstream media—Pearcey reaches a public not reached by most scholars and academicians. Douthat is the Times’ conservative Op-Ed columnist—a young, Harvard-educated Christian with a Chestertonian bent—and Horton, in his “day job,” is a university professor of Christian theology and apologetics. But like Pearcey, they have defied easy categorization and have earned hearings and influence within the public at large. This new breed points up, by their very existence, the public’s appetite for Christian intellectual engagement, in an age when the prevailing postmodernist culture would have many believe that Christianity is facing marginalization. Not that Douthat and Horton are closest to Pearcey in subject matter. Her nearer comparisons there would be such figures as Os Guinness, James Sire, Michael Wittmer, Phillip E. Johnson, Michael Behe, J.P. Moreland, and the like, as well as Schaeffer protégées Udo Middelmann and Ranald Macaulay (both of them sons-in-law of Schaeffer). For a Q&A with Nancy Pearcey about her coverage in the New Yorker‘s controversial profile of Michele Bachmann, go here. For Something Solid’s strongly opinionated commentary on the so-called “Dominionism controversy” that has attached to Bachmann, Schaeffer, and Pearcey, visit this page. Even so, Pearcey (herself a past student of Schaeffer’s at his famed L’Abri sanctuary in Switzerland) is unique. Her latest book, Saving Leonardo: A Call to Resist the Secular Assault on Mind, Morals, and Meaning, marks her as a thinker with a common touch, someone with a finger on the pulse of today’s truth-seeking, Christianity-sympathetic masses. “Persevering in her cultural mission.” Olasky knows Pearcey from his earlier years in Washington. Her professional career breaks out roughly into three phases: from 1977 to 1990 she published articles and analyzed Christian worldview themes for the Bible Science Newsletter. In 1991 she became founding editor of the daily radio program Breakpoint, where she would serve through the decade of the 1990s as the head of a team of writers producing broadcast commentaries. Under her intellectual leadership, Breakpoint steadily gained following until it reached a weekly audience numbering an estimated 5 million. In the past 12 years, Pearcey has authored books (most notably Total Truth: Liberating Christianity from its Cultural Captivity and the aforementioned Saving Leonardo) and held university academic posts. She has appeared on National Public Radio and C-Span and has lectured at the Heritage Foundation. In June she relocated, with her husband Richard, from the Washington, D.C., area—their home for more than a decade—to Minneapolis, Minn., where the couple fill new teaching positions at Rivendell Sanctuary. A recent interview with Pearcey found her focused on exposing the roots of what she calls “stealth secularism.” And on countering any notions that any worldview can be values-neutral. Saving Leonardo is Pearcey’s latest work. Though she derives this orientation from Schaeffer, Pearcey has advanced her own philosophical and theological positions to such a degree that her work stands apart as something more than merely derivative. “Well beyond Schaeffer…in the maturity of her thought.” Wichterman sees groundbreaking originality in Pearcey’s work. 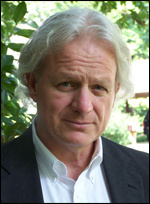 Wichterman, who has been an innovative thinker in his own right, pioneered the idea that “politics is downstream from culture.” This concept—the idea that politics does not steer culture, but that the reverse is true—undergirds Pearcey’s thesis that Christians need to be more than critics of culture, they need to be active creators of culture. It’s the idea that, in culture, “the good drives out the bad” and that a society’s worldview prefigures its outlook and ideas. Another individual who became acquainted with the Pearceys through Faith & Law was Stovall Witte, a former congressional chief of staff. He now serves as chief operating officer of the Coastal Educational Foundation, a nonprofit that manages private resources for Coastal Carolina University. “Her thinking… taught me how to ask the right questions.” Witte sees the Pearceys as having a unique perspective on society. It wasn’t, Witte said, that the people he’d known in his youth and in the military didn’t do wrong. Of course they sometimes did wrong. It wasn’t that they didn’t commit any sins. But the difference, Witte said, was that those individuals he knew earlier in life had never really questioned the idea that there really is such a thing as right and wrong, such a thing as sin. 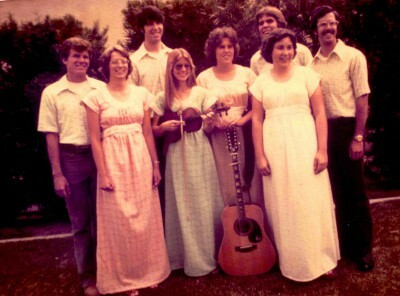 Music was instrumental in the rearing of the Pearcey clan. Nancy, second from right, was a violinist in the family ensemble, a.k.a. the “Randolph Players.” This image was shot shortly after they played a concert in Norway. Identifying herself as a child of a particular time and place—Nancy has made it known that she is the child of second-generation American parents of Swedish descent, Lutheran in upbringing, Midwestern and middle-class in background—Pearcey has tracked a career that is of distinctively American “Boomer” vintage. She progressed from an agnostic, counterculture teen to a searching, uncertain early-20s college kid adventuresome enough to hitchhike from Las Cruces to Albuquerque, N.M., there to spend a summer at a Christian “crash pad” cohabited by a coterie of “ex-hippie ‘Jesus freaks.’” Stubbornly independent-minded, bookish, artsy, musically talented, and driven enough to make not one but two lengthy forays to L’Abri, Pearcey fit the image of the typical searcher-for-meaning of her generation. It was in her second visit to L’Abri, in the fall of 1972, that she met Richard, but they would not form a relationship for some years. Born in Germany, Richard had returned to Budingen in 1971 to spend some time before returning to the United States to finish his college education. He knew about Francis Schaeffer, and decided he would “go down to L’Abri and see if Schaeffer put his money where his mouth is.” He’d heard others trying to “tell you how to live” only to find that their advice didn’t work. He would see if Schaeffer was different. 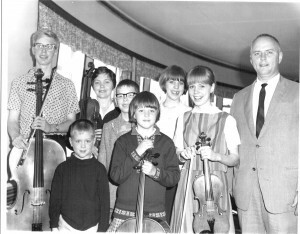 As a college student, Pearcey (in center, holding violin) was part of a musical group who called themselves The Journeymen. PHOTO COURTESY NANCY PEARCEY. Richard and Nancy were on friendly terms in L’Abri, but there was no serious romance. He was taken with her—smitten might be a better word—but he knew he needed to find answers about life before pursuing a mate. Four years later they reconnected and Richard staged a whirlwind courtship—a month or two long, by his recollection—and they were wedded. 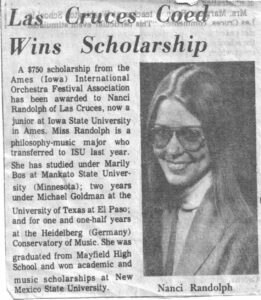 As an undergrad, Pearcey (then Nancy Randolph) showed as much aptitude for music as for philosophy or theology. 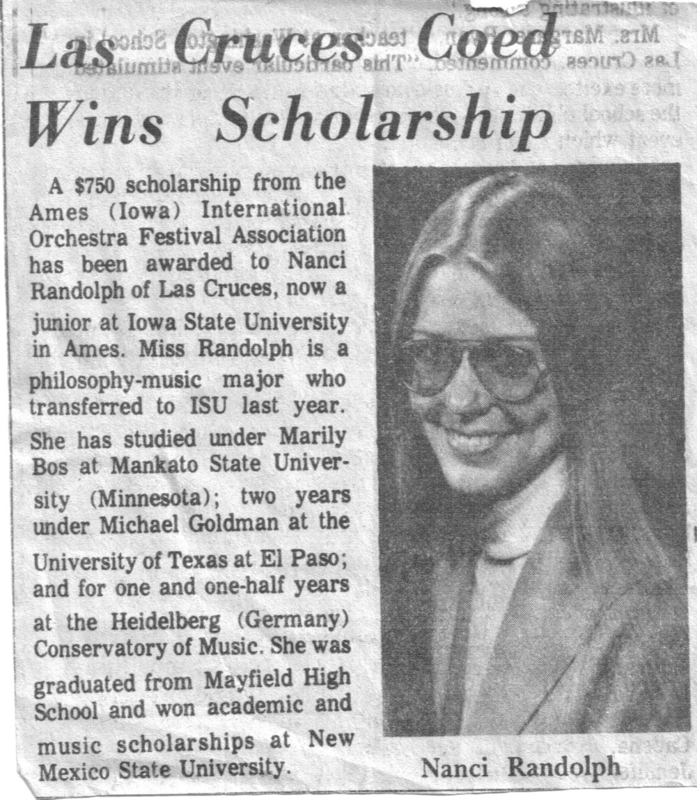 She studied violin at Heidelberg and earned a musical scholarship when she resumed studies back in the states. “Seeing the ministry around him, seeing how he treated people, how they dealt with questions—and, overall, [recognizing] the ethos that it was just ‘normal life’ to discuss things. In other words, to question faith. To question Christianity. To scrutinize things. This convinced me,” Richard said. The Pearceys have gone on to create a body of work uniquely their own. Richard, a journalist, created the online news-and-commentary site pearceyreport.com, where both he and Nancy regularly post their own views and provide a venue for others’. 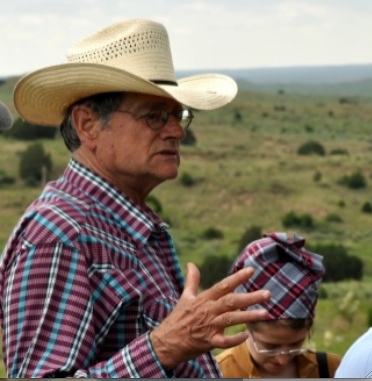 One of Richard’s recent projects was serving as primary editor of David Limbaugh’s bestselling book Persecution. Limbaugh said that the Pearceys work well together. “Nancy is scholarly. A great thinker and a great writer. She grasps worldview issues as much or more than anybody writing on them today.” Limbaugh knows the Pearceys personally. Limbaugh said Nancy Pearcey approaches worldview in a comprehensive way, from a Christian perspective. “In her most recent work [Saving Leonardo] she has given us some perspective on our history and our cultural development,” he said. But the Saving Leonardo author is more than a diagnostician, at least in Limbaugh’s view. He said that Pearcey’s gift is her ability to trace the roots of many contemporary worldviews to their secularist origins. In doing so, Pearcey gives us a road map. In that respect, Pearcey is filling a void that would otherwise exist in the Christian community’s response to secularist influences. Pearcey’s efforts are helping “to ensure that the social issues and religious issues are not overshadowed by issues of domestic policies and foreign policy,” Limbaugh said. Byron Borger, a bookseller (Hearts and Minds Books) in Dallastown, Pa., and someone who knows Pearcey from personal acquaintance, describes the author as scrupulous and industrious. Borger is right about Saving, which is assiduously annotated. “She has read deeply—it’s a wide range of thoughtful stuff that she’s doing,” he said. Total Truth won the ECPA Gold Medallion Award for best book on Christianity and society. The project, of course, became Saving Leonardo. Asked what has been the biggest surprise to her, as regards the reception she has received for Saving Leonardo, Pearcey said it has been the interest that has arisen from non-Christian quarters. Pearcey noticed, in the process of creating the book, that its focus on the arts proved appealing to young people. As a teacher in an association of home schoolers (the Pearceys home school their youngest son), Nancy used the book, in manuscript form, as part of her teaching curriculum. The book’s “arts element” addresses the whole person, Pearcey believes. Maybe it’s the evangelical in her—the societally engaged, cause-minded, family-values side of her—that accounts for her devotion to homeschooling. But whatever the source, Pearcey surely ranks as one of the most accomplished and credentialed academics ever to commit so wholeheartedly to that humble educational milieu that is the home school. Her homeschooling peers say they find inspiration in her enthusiasm. Dunn’s home (in the D.C. area) has been the site of much of the schooling, at least prior to the Pearceys’ move to Bloomington, and has even served as a think tank for some of Pearcey’s brainstorming. 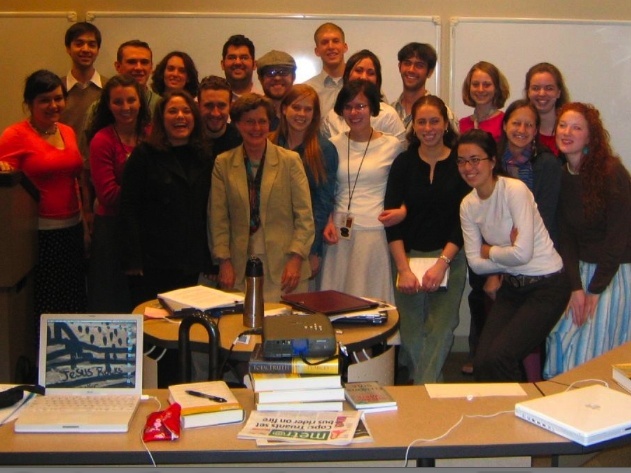 Pearcey (in tan jacket, center) surrounded by students at a class she taught at World Journalism Institute. PHOTO COURTESY KATE RHEA. “Christians have been sleeping through one of the most profound intellectual revolutions of all time.” Erickson values Pearcey’s insights into the current scene. PHOTO BY NATHAN DAHLSTROM, LUBBOCK, TX. “During the interview, I made reference to a book that helped shape my opinions about my mission as an author,” Erickson said recently. That book was How Now Shall We Live, by Pearcey and her co-author Charles Colson. And so Pearcey, who is reading along in World‘s profile of John R. Erickson, finds herself reading about herself. Pearcey immediately wrote to Erickson, identifying her son as a “Hank” fan and herself as an admirer of Erickson’s work, and thanking Erickson for his sentiments. Erickson found in Saving Leonardo a theme that continues to resonate with him. Pearcey cuts through the distractions of contemporary culture to isolate life’s true essentials, Erickson says. “We’ve been mugged by Starbucks versions of Marx, Darwin, Nietzsche, and Freud, and that is shameful enough,” he said. ” The crowning disgrace is that we had a better intellectual and spiritual program to start with, and we stood around and watched while bullies tore it to pieces and left it in the gutter. Pearcey, for her own part, says that these are critical times for Christians. “Evangelical Christians are really struggling with how to re-enter the public arena, and how to craft a message that works in the public domain,” she said. “It goes back to the late 19th century and the architects of the modern age: Darwin, Marx, Freud. The trouble is that Christians of the time really did not have the intellectual resources to respond to these major challenges. To a large extent they turned inward, retreated from the public domain, and circled the wagons. The idea was to stay within your churches, schools, summer camps, and so on. This was the Fundamentalist era of the early 20th century. Many conservative Christians thought the way to respond to culture, as it became secular, was to turn their back on it—to pull away and form a separate subculture. The literature of the time actually promoted what was called ‘separatism’ as the correct stance toward mainstream culture. “Of course, it didn’t work. If you don’t have a TV, your kid will go to the neighbor’s house and watch their TV. You cannot hermetically seal off the outside world. It seeps in. But more importantly, people began to say, ‘This is really not what scripture calls us to do.’ Scripture calls us to go out into the world, to bring God’s truth into the world and apply it, and to be agents of God’s cultural redemption, as well as agents of spiritual redemption. 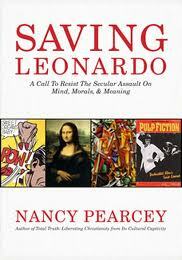 Pearcey said she personally wrestled with most of the “-ism’s” she analyzes in Saving Leonardo. And that, she said, is why she is as passionate as she is about questions of worldview. It is because they have been such a big part of her own life. Finding answers to questions—one’s own and others’ as well—is something Nancy Pearcey has been doing all her life. And so it is appropriate that, in summing up, she identified this as a basic need that is shared by all. Jesse Mullins is a career journalist and former editor-in-chief (Art Today magazine, American Cowboy magazine) who lives in Abilene, Texas. For more on Mullins, click here. For this writer’s book review of Saving Leonardo that was published by christianpost.com, go here. For the Pearceys’ website (pearceyreport.com), go here. For our just-posted (Aug. 30) Q&A with Nancy Pearcey in the aftermath of the controversy raised by the New Yorker‘s profile of Michele Bachmann, a profile that discussed Pearcey, see this page. For a hard-hitting opinion piece on the entire New Yorker – Bachmann – Schaeffer – Pearcey – so-called-Dominionism-controversy, go here.